Now is not the time to be bringing in large quantities of vegetables from your garden to store for future eating, unless you live in a climate much warmer than mine. 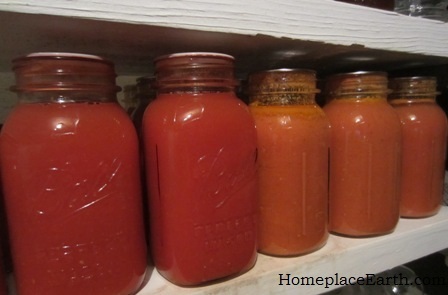 However, now is the time to be scouting the best places for winter food storage in your house, even if you haven’t had a harvest yet. In the heat of the summer, it is hard to imagine what the conditions are in your house in the winter. There are books and magazine articles about storing the harvest that will provide details about the best temperature and humidity for the storage places. Somehow humanity has managed to survive without climate controlled spaces for all these years, so use these resources as a guideline and don’t obsess if your spaces aren’t exactly what you’ve read about. We heat our house primarily with a woodstove, using the furnace as a backup. That means the rooms in the house closest to the stove are warmer than the areas further away, which makes for much variation to play with when finding appropriate storage spots. If you use central heat exclusively, you could lower the temperature in a room by closing the heating vent. Lower it further by opening a window or installing a vent. If you have a closet available for food storage, one with an outside wall is best to bring the temperature down. It is not quite as easy to find cool spots in super-insulated homes, but check around. I use a thermometer to occasionally check my storage areas. It has a remote feature so that I can tell the temperature of the space the thermometer is in and also the space I have the remote sensor in. This photo shows the kitchen temperature is about 70 and the temperature of the sweet potato/onion/garlic/butternut squash storage area is about 58. Ideally, sweet potatoes and winter squash are comfortable stored at about 50-60˚ and 60-70% humidity. Irish potatoes are happier at a little cooler temperature and 80-90% humidity. My husband built pull out shelves in our lower kitchen cabinets. We designated the cabinet area in the northeast corner of the kitchen (top photo) for produce storage after I discovered how cold it was in there one winter day (50˚). It doesn’t stay that cool all the time, but usually that cabinet is about 10˚cooler than the kitchen. The pull out shelves in that area have bottoms made of a heavy metal grid that allows ventilation, yet is heavy enough for a load. Irish potatoes are stored here, in addition to the sweet potatoes, onions, butternut squash, and garlic. 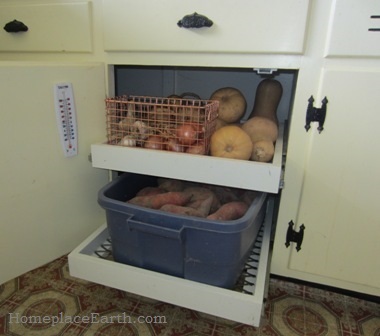 Extra potatoes, sweet potatoes, onions, butternut squash, and garlic are stored in the crawl space under our house. When the outside temperature dipped into the teens (which it doesn’t do too often) the temperature in the crawl space only fell to 48˚. So, if a polar vortex comes knocking again, we’re still okay. Mind you, that’s with the vents closed for the winter. If the vents were left open that would be a different story and the cold air coming in could freeze pipes that were nearby. Crawl spaces can provide storage spaces with higher humidity. We have converted our utility room, which contained a washer, dryer, and storage shelves, into a pantry. The washing machine is still there but we gave the dryer away, since we never used it. The sun outside and heat from the woodstove dry our clothes. 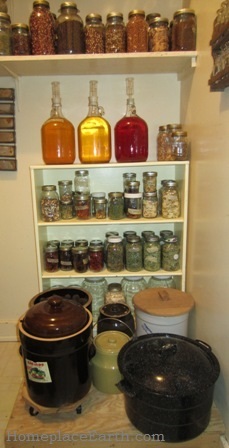 That left space for crocks holding nuts and fermented food and for jars of dried food, including beans and grains from our garden. We didn’t have a honey harvest this year, but when we do, the honey jars are stored here. Before we lived in this house, there was a furnace in this room. A hole in the floor and another one 4’ higher for vents were left behind. I screened those holes and kept them for air circulation. That room is about 10˚ cooler than the kitchen, also. We just have to remember to keep the door closed. We have a cellar under part of the house. That’s where I keep the jars of food that I’ve canned. I have to go around and down the outside stairs to get there, since there is no access from inside the house. If I could just pop down the stairs from the kitchen, I might store more food there. Canning jars get heavy. You’ll see that we used 2×12 boards for the shelves. It has been interesting finding convenient places to store increasing amounts of food from the garden. Wherever you store food, you need to think of everything that could affect it, such as mice. My friend Susan has a nice house that is built on a slab containing heating coils. That makes her house nice and comfy, but since the coils are throughout the house, even her closets are heated. 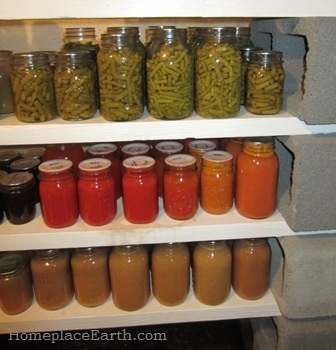 She stores her harvest in an area screened with hardware cloth in her garage. It was after her peanuts disappeared in the garage that she resorted to screening her storage spot to protect her food from mice. 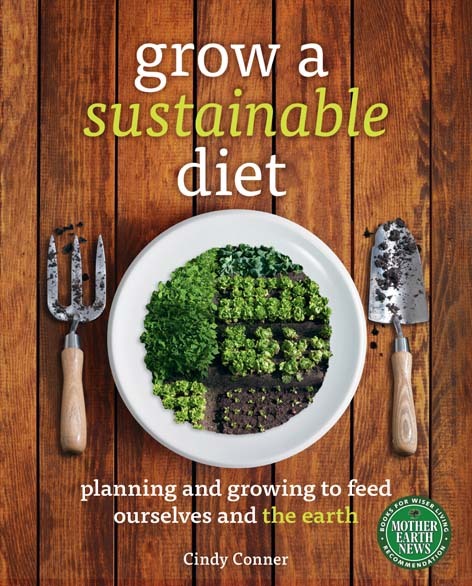 My upcoming book, Grow a Sustainable Diet, has a chapter on food storage and preservation with more information on handling your harvest. When I have it available you will be able to order signed copies from me at www.HomeplaceEarth.com. Finding a place for what you grow and for the equipment that goes with it is as important as growing the food. If you have no plan for storage, your harvest will spoil or ruin the harmony in your home as it sits around cluttering your living space. 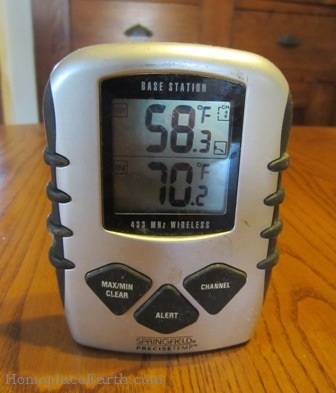 Check any possible storage niches in your home with a thermometer and record what you find. It might make for a fun project for your children if they are home on a snow day this winter. 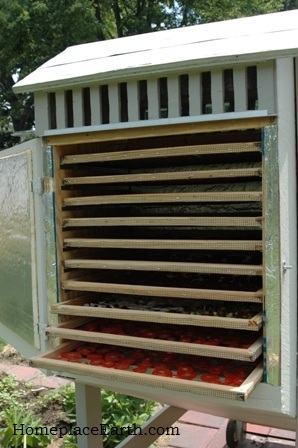 This is my third summer using solar food dryers and they have become a firm part of my food preservation plan. Of course, the biggest aspect of my plan is to need as little preservation as possible. So, we eat as much as we are able to out of the garden all year. Next is to grow crops that pretty much store themselves. That would be things like onions, garlic, winter squash, potatoes, sweet potatoes, cowpeas, hazelnuts, and peanuts. Some things are fermented, particularly cucumbers and cabbage. I’ve had a huge jar of dill pickles on my kitchen counter for most of the summer, sort of like what you might see in a deli. We take pickles out whenever we want. 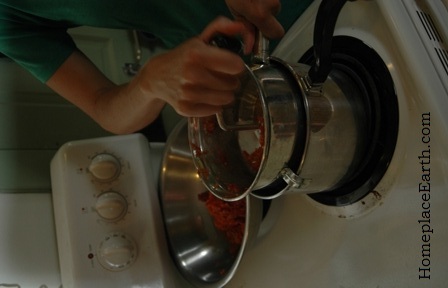 Some of the snap beans get salted in a crock. The rest of the snap beans and extra tomatoes are canned. The crop that I dry the most is tomatoes. There are varieties that are better suited for this and I’ve been growing some. Principe Borghese (preen-see-pee bore-gay-zee) has been the most prolific so far. I had a harvest of about 75 pounds from the plants that grew along a 16’ livestock panel. Principe Borghese is a determinate variety, pumping out the whole harvest in 5-6 weeks. The seed catalog says the days to maturity for this variety is 78 days, however, I’ve found my harvest begins at about 60 days from transplanting and I had my first tomatoes before July 4th this year, without even trying. These tomatoes look like large cherry tomatoes. Sometimes I cut them in half to dry and sometimes I cut them in quarters. I also grew Hungarian Paste tomatoes, another determinate variety. I began harvesting these about 18 days later than Principe Borghese and picked for only 4 weeks. That was too short of a harvest window for me, but the blister beetles had moved in on the plants. This variety is similar to Roma and Amish Paste. 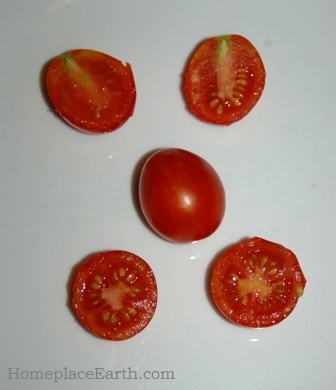 I had some trouble with blossom end rot on the first flush this year, which might have been caused by weird weather; however, blossom end rot has been a problem with this type of paste tomato on the first flush in my garden in other years. I’ve had my soil tested and calcium deficiency is not the problem. A new variety, for me at least, is Long Tom, an indeterminate. I only have a few plants and they were put in late, but I’m really impressed with the tomatoes I’m getting. 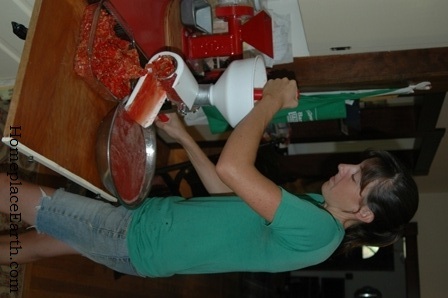 It could be due to the bed they are in, but these meaty tomatoes have been weighing 4 ounces each! 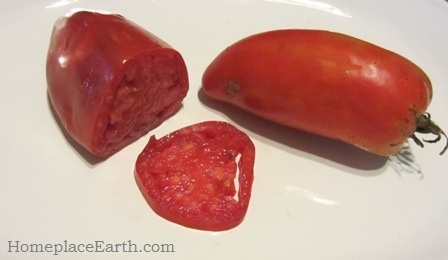 If you don’t like seeds in your dried tomatoes, this is the variety to grow. I’ll pay more attention to Long Toms next year. All these varieties and more are available through the Southern Exposure Seed Exchange catalog. The list of things I’ve dried in my solar dryers is: apples, cabbage, celery, collards, grapes, kale, mushrooms, okra, onions, parsley, peaches, peppers, sweet potatoes, tomatoes, and zucchini. I’ve dried snap beans, but I found we just don’t eat them. They are good, however, reconstituted in chicken broth. 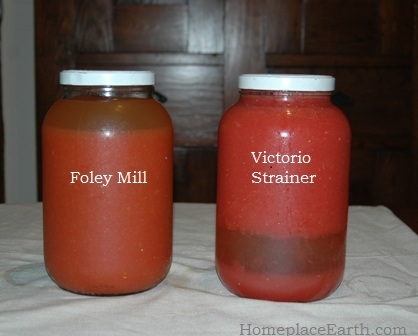 One of the good things about drying is that you don’t need to have the quantity that you need when you are canning. You can put small amounts of this and that in the dryers. I’ve found that I can salt the snap beans in a crock and add to it over the next couple weeks as the harvest comes in, otherwise if I had a small amount, they’d go in the dryer. I have two dryers and each have special features. One, the SunWorks model, exposes the food to the sun. Historically, that’s how things were dried, lying out in the sun. The larger model, based on plans developed by Appalachian State University (ASU), does not expose the food to the sun. If I’m drying mushrooms, I put them in the SunWorks dryer since mushrooms really develop a lot of vitamin D when exposed to the sun. If I’m drying collards or kale, I put them in the ASU dryer. The greens dry quickly in either one, but they stay greener out of the sun. I built the SunWorks dryer with an electric backup option. I played with that a little that first year, but haven’t plugged it in since. If the weather takes a turn and it rains, I just leave the food in until the sun comes back out and it dries. 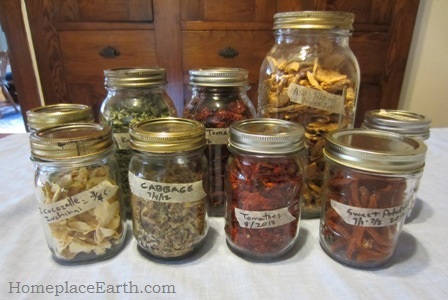 When drying is complete, I put the food in glass canning jars and store them on shelves in my pantry. Of course, if the weather promises to be rainy and damp for days, which is the pattern we seem to be in at the moment, I resort to canning. You can find more information about my solar dryers at my blog posts Solar Food Dryers and Solar Food Dryers-Update. 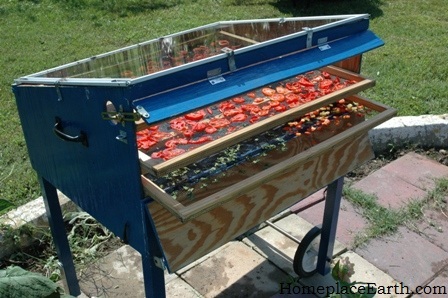 The Solar Food Dryer, a book by Eben Fodor, was my guide in making the SunWorks dryer. A good book to refer to in handling the food is Making & Using Dried Foods by Phyllis Hobson. I’ll have both books for sale at my booth at the Heritage Harvest Festival at Monticello on September 15 and at the Mother Earth News Fair at Seven Springs, Pennsylvania on September 21-23. I’ll also be speaking on Solar Food Drying at both events. See you there!